If you’d like a weekly email when new episodes are released, sign up here. Podcast Episode 3: Mastering the On-Campus Interviewing (OCI) Process In this episode, we talk about improving your resume and cover letter, how to figure out what firms to bid on in OCI, how the process typically works, and more! Podcast Episode 4: Callback Tips for BigLaw Summer Associate Positions Today, we’re discussing the next step in the on campus interview process – callback interviews. Topics covered include what are firms looking for in a callback, advice on scheduling interviews, and more! Podcast Episode 5: Maintaining Authenticity in the Legal Profession Today, we’re talking about a very important topic – how to stay true to yourself and live with integrity as a law student and as a lawyer. Podcast Episode 6: Lessons Learned About Learning Today we’re excited to be discussing one of our very favorite topics – Learning! Enjoy our discussion on topics including how children approach learning, and what can we learn from them, how learning another language is like going to law school, and more! Podcast Episode 7: Time and Life Management Basics In this episode we’re doing a deep dive into a critically important topic — time and life management! If you’re an over-stressed law student or young lawyer, this is a can’t miss episode. Podcast Episode 9: How To Raise Your Grades as a 2L or 3L If you are a 2L or 3L who’s struggled in law school, this episode is for you. Today we’re talking about how to overcome a 1L year that was less than stellar and raise your grades for the rest of your tenure in law school. Podcast Episode 10: Why are Lawyers so Unhappy? Today we are trying to answer an important question: Are lawyers actually more unhappy than other professionals, or do they just like to complain a lot? Podcast Episode 11: Legal Writing 101 What is it about the term Legal Writing that makes law students cringe? In this episode we talk about what makes legal writing so difficult, and how you can improve your writing skills, and more! Podcast Episode 12: Resume and Cover Letter Basics Are your resume and cover letter ready to send out today? The truth is you should write your resume now to avoid having to rush and create one when an opportunity presents itself. Today we are discussing resume and cover letter basics for law students. Podcast Episode 13: What Do Lawyers Argue About? In this podcast we are talking about one important facet of the law school experience -- learning to argue like a lawyer. From class to court, it's all basically the same. Podcast Episode 14: Avoiding Disasters In Law School We will be honest with you, disasters in law school are inevitable. It's not a question of "if" disasters will happen, but "when." In today's episode, Alison and Lee share some of their own personal disasters in law school and discuss other situations that you might encounter and how to prepare for them. Podcast Episode 15: The October Freakout October is the time in law school where reality begins to set in. Don't flip out! Take our advice to get through the October Freakout so you can have a productive rest of the semester. Podcast Episode 16: Study Strategies for Different Learning Styles in Law School Studying in law school is not one-size fits all. Each student learns in a different way. The key is to recognize the type of learner you are and use that information to optimize your study style -- for YOU. Find out what kind of learner you are in this podcast! Podcast Episode 17: Where To Get Help in Law School Are you struggling with certain things in law school? We have all been there. When you need help, it's critical to find the "right" resources to help you (and won't make you need even more help!). If you're not sure who to turn to for help, or what resources are available, tune in. Podcast Episode 18: Using Supplements Effectively in Law School Whether you are in your first or final year of law school, you should be using supplements. Want to find out more about what supplements can do for you and how can you use them effectively? Listen in! Podcast Episode 19: Conquering Different Types of Law School Exams Not all law school exams are created equal. Different schools will use different types of exams and your professors can do whatever they want! Tune in for our advice on the best strategy for every type of law school exam. Podcast Episode 20: The Exam Countdown - One Month and Counting! When you're counting the time to your first exam in weeks, rather than months, lots of law students start to panic. If you've got law school exams coming up, tune into this podcast! Podcast Episode 21: What is Your Professor Looking for on Exams? In law school, you spend a lot of time preparing for exams. What most students don't spend time much on is putting yourself in your professor's shoes and focusing on what he or she is looking for in an exam answer. That's what this episode is about! Podcast Episode 22: Take an Exam with Us In today's episode, we're doing things a bit differently. We've talked about how to study for a law exam, but today we are going to take an exam with you. Podcast Episode 23: Law School Exam Day Tips Are exams looming on the horizon? In today's episode, we're dishing out some law school exam day tips. Podcast Episode 25: How to Behave Like a Professional in the Legal Workplace Although it seems like it should be common sense, you'd be surprised by how many law students struggle with professionalism when they arrive at their first law job. Now is the time to make a good first impression at your legal job and we have some advice to help you out! Podcast Episode 26: Thinking Ahead to Get Ready For the Bar Exam The fact that you are a 1L or 2L doesn't mean that you can't be thinking ahead to bar exam preparation. It's important to keep bar prep on your radar throughout law school, so you will be ready when the big day arrives. Here are some tips for preparing successfully, whatever year you are! 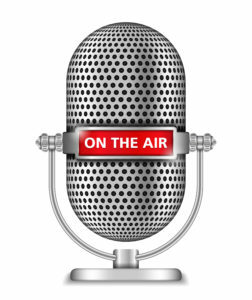 Podcast Episode 27: Job Interview Basics Are you interviewing for a legal job? Whether you are interviewing for your first summer job, or one that will (hopefully) be more permanent, we have tips for many different types of interviews and situations. Podcast Episode 28: Dealing With Bad Law School Grades Chances are, you've received at least some of your first semester law school grades by now. The reality is that most students didn't do as well as they hoped. Don't panic - this isn't the end of your legal career. You have plenty of time to turn things around. In this podcast we talk about how! Podcast Episode 29: Handling Pressure in Law School (Guest Dr. Hank Weisinger) One of the biggest challenges law students face is how to handle pressure in law school. In this podcast, the New York Times bestselling author of "Performing Under Pressure: The Science of Doing Your Best When it Matters Most" and renowned pressure expert, Dr. Hank Weisinger, is here to talk about handling the pressure of law school. Podcast Episode 30: Visual Learning for Law Students (Guest Kipp Mueller) Today we are joined by Kipp Mueller, Columbia Law grad and the co-founder and CEO of SketchyLaw, an online education company which teaches legal rules using multi-modal learning. He and Lee talk about how different types of learning can help law students and the science behind it. Podcast Episode 31: Why is it So Horrible to be a Woman Lawyer? This week we are talking about something very near and dear to our hearts - being a woman in the legal profession. Are we really still having this same tired conversation about women in the workplace? Yes, yes we are. Podcast Episode 32: Four Years of Business Lessons - Happy Birthday! Listen to what we have learned after 4 years of Law School Toolbox! Podcast Episode 33: Top 10 Tips for Law School Success After reflecting on what we've learned from working with hundreds of law students over the past four years, we've compiled our top 10 tips to help you be a successful and happy law student. Enjoy! Podcast Episode 35: What Extracurricular Activities Matter in Law School Today we are discussing extracurricular activities in law school. You may be tempted to focus exclusively on studying and maintaining your grades, but extracurricular activities can help break up the monotony of law school and bolster your resume for the future. Podcast Episode 36: Your Mid-Semester Law School Reality Check Time for a mid-semester reality check! Second semester is interesting in law school because you're in a different position than you were last semester. It's time to get real. But don't stress! Here is your (helpful) mid-semester reality check. Podcast Episode 37: Surviving Law School Moot Court Today we are talking about how to find success during law school Moot Court. This can be a stressful experience for any law student, especially those with a fear of public speaking. Podcast Episode 39: Battling Test Anxiety in Law School and on the Bar Exam Today we’re talking about everyone’s favorite topic – test anxiety. Okay, not really anyone’s favorite topic, but a very important one because so many law students deal with test anxiety in law school and on the bar exam. Listen to our tips here! Podcast Episode 41: Avoiding Law School Exam Disasters In this podcast we're talking about avoiding exam disasters, even when you're not as prepared as you might want to be. It's not too late to pull things together, but there's no time to waste! Podcast Episode 42: Acing the Law Review Write-On Competition In this podcast we are discussing the Law Review write-on competition and why you should (or shouldn't) participate. We've also got tips for success, should you decide you want to do it. Podcast Episode 44: How to Get a Judicial Clerkship Judicial clerkships are high sought after positions for law students. Today we are talking with special guest, Fairuz Abdullah, Associate Director of Public Interest Programs and Judicial Clerkships in the office of career and professional development at UC Hastings, about how to get a judicial clerkship! Podcast Episode 45: Writing Effectively in Your Summer Legal Job In this podcast we are talking about writing effectively in a summer legal job. Joining us as a guest is Doretta McGinnis, who has taught Legal Writing for many years and is now a Law School Toolbox tutor. Podcast Episode 47: The Top Five Bar Exam Study Mistakes (Sponsored by Adaptibar) In this podcast we're discussing the top five mistakes students consistently make when preparing for the bar exam, with special guest Ariel Salzer. Ariel is one of our most experienced bar exam tutors, so we’re very excited to have her here today to give us a rundown of the biggest mistakes she sees students making – so you can avoid them! Podcast Episode 48: Our Top Bar Exam Essay Writing Tips (With Guest Ariel Salzer) Today we have one of our most experienced bar tutors, Ariel Salzer, here with us to talk about the essay portion of the bar exam. Podcast Episode 50: How to Ace the Bar Exam Performance Test (with Doretta McGinnis) In this podcast we are focusing on the bar exam performance test. Joining Lee is guest Doretta McGinnis, a legal writing expert who happens to be one of our law school and bar exam tutors. Podcast Episode 51: The Characters You'll Meet in Law School Today we’ve got an entertaining topic – the eccentric characters you'll meet in law school, along with some tips on law school etiquette (if you don’t want to find yourself on this list in the future). Podcast Episode 52: Bar Exam Tips for Mastering the MBE In this episode we’re talking about how to conquer the bar exam, specifically the MBE. Don’t let the MBE prevent you from passing the bar exam -- we’ve got some strategies for success! Podcast Episode 53: Acing Oral Arguments in Law School (with guest Megan Canty) We'll discuss the role of the oral arguments and Moot Court in legal education, with special guest Megan Canty. Megan is a law school tutor with the Law School Toolbox and she is also Director of Academic Success and Bar Exam Preparation at Wayne State University Law School. Podcast Episode 54: How to Evaluate Your Summer Legal Job Experience We will talk about about how to evaluate your summer legal job experience, and how to make sure you leave on good terms. As your summer law job is drawing to a close, here are some ways to ensure you learn as much as you can from the experience. Podcast Episode 55: An Overview of BigLaw On-Campus Interviewing (OCI) We will discuss BigLaw OCI, or on-campus interviewing. This is the annual rite of passage where thousands of law students try to secure BigLaw summer associate positions for the next summer. In this episode, we talk at a high level about all of the aspects of OCI, and you can listen to our earlier OCI episodes for a deeper dive into the specifics of callbacks and initial interviews. Podcast Episode 56: Getting off to a Smart Start in Law School This podcast will discuss how to study smart in law school so you can stay on top of your workload and do as well as possible academically, without undue stress and strain. Podcast Episode 58: Non-Profit Law and Social Entrepreneurship (with Guest Adrian Tirtanadi of Bayview Hunters Point Community Legal) We will discuss doing good works with Adrian Tirtanadi, founder of Bayview Hunters Point Community Legal, a non-profit legal startup in San Francisco. This is a great episode for anyone who is interested in how access to legal services can change a community and for everyone interested in entrepreneurial non-profit or public interest law. Podcast Episode 59: Conquering Loneliness in Law School This podcast focuses on something that comes up for a lot of new and seasoned law students - being lonely or feeling isolated in law school. Podcast Episode 60: 5 Tips for Surviving the First Month of Law School Today, we’re talking about 5 things to focus on academically in the first month of law school, to set yourself up for success later on. If you’re just starting law school, this episode is for you! Podcast Episode 61: Making the Most of Your 2L and 3L Years of Law School Today we’re talking about what 2Ls and 3Ls need to be thinking about as they get into the swing of the later years of law school. If you want to make the most of your final years of law school, tune in. Podcast Episode 62: Surviving the Socratic Method in Law School Classes This podcast tackles the Socratic Method and law school classes more generally. If you're intimidated by class, tune in for tips on surviving (even if you're unprepared). Podcast Episode 63: Dealing with Self-Sabotaging Behavior in Law School In this podcast, we talk about something lots of law students deal with - self-sabotaging behavior. If you start your day with the best of intentions, but get nothing done by the time it's over, tune in! You're definitely not alone. Podcast Episode 64: Developing Grit in Law School This podcast will discuss grit - that quality that lets you get back up and carry on after you've been knocked down. And, every law student is probably going to get knocked down a time or two! Podcast Episode 66: Tips for a Successful Law School Internship or Externship Today we’re talking about how to have a successful law school internship or externship experience. For most law students, these jobs are their first experiences in the legal workplace (or maybe in any professional workplace). Be sure you’re behaving like a responsible professional, and you’ll set yourself up for success in any internship or externship! Podcast Episode 67: Mid-Semester Law School To-Do List This episode addresses running through your mid-semester to-do list to ensure you’re where you need to be before it’s too late. Mid-semester is the time when reality sets in for most law students. Whatever is going on – midterms, sniffles, boredom – it’s time to focus on the end goal and get serious about preparation. Podcast Episode 68: Top 10 Legal Research and Writing Disasters to Avoid Almost every 1L in the country will take some sort of legal research and writing class. Today, we’re discussing the top ten LRW disasters we see again and again, so you can avoid them! Podcast Episode 69: Building the 21st Century Lawyer This podcast deals with a panel discussion about what it takes to succeed as a 21st-Century lawyer. In this discussion, we dive into the characteristics of successful lawyers in today’s legal workplace and talk about how to gain those skills and traits while still in law school. Podcast Episode 70: How to Decide What Type of Law to Practice Today, we’re talking about how to figure out what type of law to practice. There are more options than most people realize, so listen if you want some suggestions for finding something that uses your unique skills, interests, and background to set yourself apart from the pack. Podcast Episode 71: Soft Skills You Need to Develop to be a Successful Attorney It shouldn’t be shocking to learn that law school doesn’t totally prepare you to be a successful lawyer. Sure, you learn useful skills like legal writing and legal analysis, but building a practice (and a book of business) requires other skills. Some law schools are getting better at offering opportunities for students to gain these skills, but ultimately it’s up to you to make sure you’re fully ready to practice. Tune in to find out which soft skills are important and how to develop them. Podcast Episode 72: Seeking Accommodations in Law School and on the Bar Exam (with Dr. Jared Maloff) Today we’re talking with Dr. Jared Maloff, a Licensed Clinical Psychologist in Beverly Hills, California, about helping students get testing accommodations for tests such as the LSAT, law school exams, and the California Bar Exam (to name a few). If you’re struggling in law school or with the bar exam or know that you have a learning disorder, listen in to find out what accommodations are available, and how to request them. Podcast Episode 73: What to Do if You Failed the Bar Exam (with Guest Ariel Salzer) Today we’re talking about a difficult reality – what happens when you don’t pass the bar exam. Ariel Salzer, one of our bar exam tutors, is here with Lee to share some advice. Podcast Episode 75: Learn about Structured Negotiation and Disability Rights Law (with Lainey Feingold) Today, we’re excited to have attorney and author Lainey Feingold here with us. She is a long-time disability rights lawyer and developed a technique called Structured Negotiation that is the subject of her book, “Structured Negotiation: A Winning Alternative to Lawsuits,” which was recently published by the ABA. Structure Negotiation has been used with well-known organizations including major banks, Walmart, the city of San Francisco, and Major League Baseball to address accessibility issues in physical and virtual environments, outside of court. Podcast Episode 76: Making the Most of Your Law School Winter Break Today, as finals wind down, we’re talking about what you can do over winter break to improve your law school (and legal career) experience. Don’t worry, a lot of it is fun! Not just more work – you’ve done enough for now. Winter break is a time to recuperate, but we do have a few suggestions! Podcast Episode 77: How to Get Great Letters of Recommendation for Anything Today we’re talking about how to get great letters of recommendation, whether you need them to apply to law school, get a job or clerkship, or for some other purpose as a law student. Podcast Episode 78: Advice for First-Time Bar Exam Takers Today we’re sharing advice for first-time bar exam takers, to ensure you can take the test once and pass. Even if you’re still in law school, and the bar exam is years away, it’s never too early to get informed and chart a course for success, so tune in. Podcast Episode 79: Making the Most of Your Second Semester in Law School Today, we’re talking about making the most of your second semester of law school. By now, you probably have some or all of your grades back, so this is a good time to take stock of where you are and make any changes necessary to get the most out of your second semester. Podcast Episode 81: Building Emotional Intelligence Today we’re talking about something that’s not discussed all that often in law school, which is emotional intelligence. This is an important piece of the puzzle for happiness and success in your law career and in life. Podcast Episode 82: The Happy Lawyer Project (with Okeoma Moronu) Today we’re talking with Okeoma Moronu, a BigLaw mid-level associate and creator of The Happy Lawyer Project. Are you a law student wondering if you can be happy as a lawyer? Are you a lawyer looking for happiness? It’s really not impossible. Tune in for fresh ideas! Podcast Episode 83: Lawyers in Action - The Airport Immigration Crisis We talk with several volunteer lawyers who sprung into action at airports around the country, helping people caught up in the chaos that ensued after President Trump issued his executive order on immigration. Tune in to hear what the situation was like on the ground, and how lawyers and law students can get involved to help. Podcast Episode 84: Using Rules Effectively in Legal Writing (With Guest Jason Jones) Today, we’re talking with Law School Toolbox tutor (and former law professor) Jason Jones about a very important aspect of law school exam success – using legal rules. Podcast Episode 85: Surviving as a Summer Associate and New Firm Lawyer (with Grover Cleveland) We talk with Grover Cleveland, a Seattle lawyer and speaker and the author of the bestselling career advice book for new lawyers, Swimming Lessons for Baby Sharks: The Essential Guide to Thriving as a New Lawyer. We discuss how to survive as a summer associate and a new associate! Podcast Episode 86: Resources for Aspiring Entrepreneurs Today, we’re taking a little bit of a detour to talk about entrepreneurship. Or, maybe it’s not such a detour, given the number of lawyers who end up creating solo practices or small firms, or who leave the law entirely to start new businesses! Podcast Episode 87: Affordable Bar Prep & Social Entrepreneurship (w/ Chris Henjum of Esqyr.com) We’re talking with Chris J. Henjum, an attorney and social entrepreneur, about providing credible, affordable test prep (starting with the bar exam). Podcast Episode 88: Self-Care Tips for Keeping Your Mojo in Law School Law school is stressful enough on a good day, and, with everything going on in the world, global anxiety is at an all-time high. This combo is leading to a lot of stressed out, anxious law students! If this is you, we’ve got some strategies and advice to keep things from spinning out of control. Podcast Episode 90: Getting Ready for the July 2017 Bar Exam (With Ariel Salzer) Today, we’re talking with Ariel Salzer, tutor for the Law School Toolbox and Bar Exam Toolbox, about the upcoming July 2017 bar exam season! Change is in the air, especially with the new California bar exam format and new MBE scoring rules, so your strategy might shift a bit. But one thing remains constant: you can’t get through any bar exam without deliberate, focused, and practical studying—and a lot of it. Podcast Episode 91: From Lawyer to Entrepreneur to Mayor! During our talk, Rachel Hundley doesn't just offer some great practical tips for being active in your local community, she also provides an inspiring example of someone who felt a calling and pursued it—more than once, undeterred by various obstacles—where there’s a will, there’s a way! Podcast Episode 94: How to Succeed at Your Summer Legal Job (With Sara O'Connor) Summer law jobs can come with a lot of pressure, and you want to make a good impression and set yourself up for success. Tune in for a preview of life as a summer associate or intern, along with tips for getting the most out of the experience (including a job offer). Podcast Episode 95: Top 1L Questions: Time and Life Management Law school requires a lot of time, but so do other important areas of your life. Find out how to fit everything in without having a breakdown! Podcast Episode 99: What Law Schools Should Be Teaching, and Aren't (With Mark Cohen) Are you wondering what you should be demanding from your legal education? Mark Cohen has a unique perspective on the legal profession that could help you figure it out! Podcast Episode 101: Preparing for a Career in Public Interest Law (With Ashley Matthews of Equal Justice Works) Public interest is a competitive field to break into, and it comes with its own unique set of challenges. If you’ve decided you want to pursue a career in public interest law, this episode is a must-listen! Podcast Episode 103: Setting Yourself Up to Be a Mock Trial Rockstar (With Sara O'Connor) Are you interested in learning more about mock trial, either as a class or a competition team? This is the podcast episode for you! Podcast Episode 105: OCI Basics With an Ex-BigLaw Recruiter There are many steps to the OCI process, and it can be energetically draining, so we’re discussing what you can expect, and how you can put your best foot forward with an experienced BigLaw recruiter. If you’re planning to participate in your school’s OCI program, tune in! Podcast Episode 107: How to Build Positive Relationships in Law School Today we’re talking about building relationships in law school with everyone from professors to classmates and potential employers. Of course grades are important, but building relationships can not only make your law school experience more pleasant, it can open doors of opportunity in the future. Podcast Episode 108: Handling Summer Associate Offers (With an Ex-BigLaw Recruiter) Today, we’re talking with ex-BigLaw recruiter, Sadie Jones, about the process of getting, or not getting, an offer at the end of your time as a summer associate. Tune in for some great information on how to end your summer successfully and navigate the offer process thoughtfully and respectfully. Podcast Episode 109: Life as a Woman Entrepreneur With Meg Keene of A Practical Wedding In this podcast we talk about the path to entrepreneurship, challenges of running a business as a woman and mother, not to mention the challenges faced by the partner of a law student/lawyer! Tune in to hear more from Meg Keene. Podcast Episode 110: Revisiting Mindset Our very first podcast was on mindset, specifically discussing fixed mindset vs. growth mindset. New information seems to suggest that focusing too much on grit and mindset might actually be harmful for learning. So, what’s the deal?? Podcast Episode 111: Resumes and Cover Letters (with an Ex-BigLaw Recruiter) Concerned about your job applications? Our podcast guest has reviewed thousands of legal resumes in her life and is here to answer some frequently asked questions on the dos and don’ts of resume and cover letter preparation. Podcast Episode 112: Managing Distractions in Law School From technology, to analysis paralysis, to life’s ongoing drama, there are a million things you can turn your attention to at any given moment. Learn to master distractions in law school and you’ll have greater success, not only academically, but in your law career and in life as well. Podcast Episode 114: Law School Networking 101 Networking can cause a lot of anxiety, but it doesn't have to! Whether you're an introvert or an extrovert, this episode can help you take a new approach to building your professional network. Podcast Episode 115: Tips for Settling into Law School Settling back into law school after your first month can be difficult, even if you're a 2L or a 3L. In this podcast we talk about making sure that you're making proper adjustments and taking good care of yourself through this stressful time. Podcast Episode 116: Life as a Small Firm Associate (With Jeremy Richter) In this episode we're talking to a practicing attorney about life as a young associate. If you're trying to figure out what you might be able to expect in your first few years after law school, this is the podcast for you! Podcast Episode 118: Learn About Animal Law With Pamela Hart at ALDF Interested in animal law? Or even just in pursuing a public interest career? Listen here for advice from Pamela Hart, Director of the Animal Law Program at the Animal Legal Defense Fund. Podcast Episode 121: Alternative Options for Bar Exam Preparation As we often discuss, not everyone learns the same way. That said, why should we expect the same bar prep course to work for everyone? Tune in to learn more about your options for bar prep! Podcast Episode 123: Mental Health in Law School and the Legal Profession (With Sarah Weinstein) Today, we are talking about a very serious and important topic: mental health in the legal profession. The staggering statistics and heartbreaking stories of depression, substance abuse, and even suicide in law schools and in our legal profession have raised our concerns and the concerns of others. Because of this, we have reached out to attorney-turned-executive consultant and licensed psychotherapist, Sarah Weinstein, to talk about this topic. Podcast Episode 124: Don't Be a Jerk at Work We’re talking about how not to be a jerk in your legal office environment. True or not, lawyers have a terrible reputation when it comes to being nice and considerate in the office. Lawyers are often thought to be jerks to other lawyers, as well as staff. Why is that? How true is it? How do you avoid being “that” person? Podcast Episode 125: Maintaining a Professional Profile in the Digital Age We discuss how to maintain a professional profile in the digital age where so much of your life is online, for better or worse. If you want to maintain a professional image, it is important to be mindful of what you’re posting, where you’re posting it, who can see it (intentionally or unintentionally), and other activities that might put you at risk. Podcast Episode 126: How To Get People to Help With Your Job Search We’re talking about how to get people to help you with your job search and how to keep them happy when they do help. We’ll talk about the different people you can reach out to, and how to approach them based on the strength of your relationship. Podcast Episode 127: Avoid These Resume No-Gos Wondering what to do -- and what not to do -- on your resume? Tune in to hear ex-BigLaw recruiter Sadie Jones talk about things to avoid doing on your resume. Podcast Episode 128: Regrouping and Dealing with Grades Second Semester We’re talking about taking stock, regrouping, and a few resolutions you might want to consider for the new school year. The first few weeks of the spring semester are a great time to evaluate what worked for you – and what didn’t work – last semester. Podcast Episode 129: Self-Care During Bar Exam Prep We’re talking about something that’s incredibly important for everyone who’s preparing for the bar exam, which is self-care. Because, let’s face it, studying for the bar exam is stressful and, actually, so is legal practice. So, working on self-care during the bar exam study period is one thing that will probably help you pass and also help you in your career later. Podcast Episode 130: How to Make Difficult Decisions in Law School We’re talking about how to go about making difficult decisions in law school. We’ll talk about some of these dilemmas specifically, and offer suggestions for how to approach your decision-making process. Podcast Episode 131: Thinking Ahead About the Future We’re talking about the future and long-term goal setting in law school. It’s never too early to start thinking about what you might want your life to look like in the future, and to make the personal and career choices most likely to make that future a reality, or at least a possibility. Podcast Episode 132: What's BigLaw Really Like (w/Sadie Jones)? We’re talking about what it’s actually like to work in BigLaw, with ex-BigLaw recruiter, Sadie Jones. It’s generally accepted that in BigLaw, you’re expected to bill a ton of hours and work long nights in exchange for a hefty paycheck, but is that all there is to it? Learn more of the nuanced ins-and-outs of life working in a large law firm. Podcast Episode 133: Being Strategic About Your Legal Career (w/Liz Stone) We’re talking with legal recruiter Liz Stone, of Stone Legal Search, about ways to proactively manage your career from law school onwards. We discuss decisions to make early on to help ensure job satisfaction and how to best position yourself for a mid-career move. Podcast Episode 134: Strategies For Maximum Personal Productivity Today, we’re sharing personal productivity tips you can use to organize your life and get everything done. Working effectively is important in every aspect of your life, not just in law school. In this podcast, we talk about different systems, strategies, and considerations you can explore to create a productivity plan that works for you. Podcast Episode 135: Leaving the Law (with Casey Berman) Today, we’re excited to be talking with Casey Berman, founder of Leave Law Behind, about why some attorneys are unhappy and what they can do to shift to a non-legal career. Podcast Episode 136: How to Attack Multiple Choice Questions on Law School Exams Today, we’re talking about how to attack multiple choice questions on a law school exam – something we’re seeing a lot more of these days! Podcast Episode 137: How to Handle Difficult Workplace Situations Today, we are talking about how to handle difficult situations at work. Podcast Episode 138: Top Ten Public Speaking Tips (w/Jennifer Warren) We're talking about our top ten tips for tackling public speaking. Podcast Episode 139: How to Issue Spot an Exam Question (w/Live Example) Today, we’re doing a live issue spotting exercise on a real exam question, to show you how to use the facts to identify legal issues. This is exactly what you need to do on exam day, so tune in! Podcast Episode 140: OCI Strategy (w/Sadie Jones) We’re talking with ex-BigLaw recruiter Sadie Jones about OCI strategy. If you’re not sure how or where to bid, what to put on your resume, or how to explain tricky parts of your background, this is the episode for you! Podcast Episode 141: Experiential Learning (w/Allison Pincus) Today, we’re talking with Law School Toolbox tutor Allison Pincus about experiential learning opportunities in law school and why you should make sure you’re engaging in some of them. Podcast Episode 142: Owning Your Career (w/Whittney Beard) We’re talking with Whittney Beard, an ex-lawyer and career coach at Orrick, about how to really own and direct your career, even as a young lawyer. Podcast Episode 143: Understanding Work Assignments (w/Sadie Jones) We’re talking again with ex-BigLaw recruiter Sadie Jones about how to make sure you’re getting the information you need to do a good job on any work assignment. Podcast Episode 144: Tips for Auditory Learners For the next three episodes, we’re talking about different approaches to law school learning, starting with strategies for auditory learners. There are different ways to study using each of the learning styles we’ll discuss over the next three episodes of the podcast, so you can try different things and see how to study most effectively for your exams. Podcast Episode 145: Tips for Kinesthetic Learners We’re continuing our series on strategies for different learning styles, with tips for kinesthetic learners. Podcast Episode 146: Tips for Visual Learners Today we’re back for the last episode in our series on different learning styles to talk about study tips for visual learners in law school. Podcast Episode 147: Top Summer Associate Mistakes and How to Fix Them (w/Sadie Jones) Today we’re talking with ex-BigLaw recruiter, Sadie Jones, about the top mistakes summer associates make — so you can avoid making them, or fix them if you happen to make them. Podcast Episode 148: Handling Toxic Behavior in Law School Today we’re talking about handling toxicity in law school – whether it’s bad behavior from your classmates or overbearing expectations from other people, including your parents, professors, friends, or even yourself. Podcast Episode 149: Saving Money in Law School Today we’re talking about getting your finances in order for (and during) law school, because this can be a very challenging aspect of the law school experience. Podcast Episode 150: A Conversation with Visla Rudiger, A Transgender Attorney Today, we’re talking with Visla Rudiger, a transgender attorney, about her experiences in the legal profession — at work, in court, and more. Podcast Episode 152: Top OCI Mistakes To Avoid (w/Sadie Jones) Today, we’re talking with Sadie Jones, an ex-BigLaw recruiter, about the top OCI mistakes to avoid – from the actual on-campus interviews through the callback process. Podcast Episode 153: Working For Gun Violence Prevention (w/Allison Anderman) We’re talking about public policy work and gun violence prevention with Allison Anderman, the managing attorney at the Giffords Law Center to Prevent Gun Violence. Podcast Episode 154: Building a Better Law Practice (w/ Jeremy Richter) Today we’re excited to welcome back Jeremy Richter, attorney and author of the new book, Building A Better Law Practice, recently published by the ABA. He has some practical tips for young lawyers to help you build a successful and satisfying law practice. Podcast Episode 155: Top Callback Mistakes to Avoid (w/Sadie Jones) Today we’re continuing our series of “What not to do” episodes with ex-BigLaw recruiter Sadie Jones, and we’re talking about callback interviews. Podcast Episode 157: Handling OCI Offers (w/Sadie Jones) We’re talking about OCI offers and how to handle them with ex-BigLaw recruiter, Sadie Jones. Podcast Episode 158: What To Wear (And Not To Wear) Today we’re talking about law school fashion. What to wear (and maybe what not to wear) to law school classes, job interviews, and other law school events. Podcast Episode 159: The Secret Life of Law Firms (w/Sadie Jones) We’re talking with ex-BigLaw recruiter Sadie Jones about the secret life of large law firms. If you think you want to work in a large law firm someday, don’t miss this episode as we dive into the unique culture of BigLaw. Podcast Episode 160: Top 10 Podcast Episodes For Surviving Law School We’re recapping our top 10 law school survival episodes. Podcast Episode 161: Should You Use a Laptop in Law School Classes? We’re talking about using laptops and other technology in law school – when to use them and when to leave them at home – because this is not as straightforward as it might seem. Podcast Episode 162: Professional Development Strategies For Young Lawyers We’re talking about professional development for new lawyers with former BigLaw recruiter, Sadie Jones. Find out how to take control of your career development, from the earliest days of your career. Podcast Episode 163: Common Legal Essay Analysis Problems and How to Solve Them We’re talking about some common problems that we see in the analysis section of legal essays, whether from 1Ls or all the way to the bar exam. Conveniently, we have some suggestions for solving these problems! Podcast Episode 164: No Offer After OCI? Here's What To Do (w/Sadie Jones) We’re talking with ex-BigLaw recruiter, Sadie Jones, about what to do if OCI didn’t go as planned, and you didn’t end up with a summer associate offer for your 2L summer. Podcast Episode 165: What is an Elevator Pitch and Do You Need One? Today we’re talking about elevator pitches and whether you need one as a law student. Spoiler alert: Yes, you do! Podcast Episode 166: How to Frame Your Job Search Story (w/Sadie Jones) We're talking with ex-BigLaw recruiter, Sadie Jones, joins us to talk about how to frame your job search story. You may be thinking that you don’t have a story, but we all have a story! Podcast Episode 167: Do You Have to Join a Study Group in Law School? We’re talking about law school study groups and how to make the most of them (or if it’s okay to skip them entirely). Podcast Episode 168: How to Handle Rejection Professionally (w/Sadie Jones) We're talking with ex-BigLaw recruiter, Sadie Jones, about ways to handle rejection in a professional manner. Podcast Episode 169: Setting Your Priorities in Law School We’re talking about setting your priorities in law school when you’re overwhelmed by your to-do list. Podcast Episode 170: Let's Talk About the Bluebook Today we’re talking about the Bluebook. You might be wondering, can there actually be an entire episode of this podcast just about the Bluebook? Oh, yes, there can be. Podcast Episode 171: Building the 21st Century Casebook (w/Vikram Savkar) Today we’re excited to be talking with Vikram Savkar, vice president and general manager of the education and training business for Wolters Kluwer Legal and Regulatory US, one of the largest publishers of legal casebooks, supplements, and other law related materials in the world, about how law school casebooks are changing in the digital era. Podcast Episode 172: Tackling Common Exam Prep Scenarios Today we’re talking about some typical exam prep scenarios that you might find yourself tackling. Podcast Episode 173: Frequently Asked Questions About Resumes and Cover Letters (w/Sadie Jones) Today we’re excited to have ex-recruiter Sadie Jones with us to talk about the most common questions we’ve been getting about resumes and cover letters. Podcast Episode 174: The LSAT Is Going Digital! Thoughts From LSAT Expert Nathan Fox We’re talking with Nathan Fox, LSAT expert and founder of Fox LSAT, about some changes coming soon to the LSAT. Podcast Episode 175: Top Interview Questions With Ex-BigLaw Recruiter Sadie Jones We’re excited to have ex-BigLaw recruiter Sadie Jones with us to discuss the most common questions we get about job interviewing as a law student. Podcast Episode 176: Talking About Judicial Clerkships with Kelsey Russell Today, we’re talking with Kelsey Russell, a writer for the Law School Toolbox and a recent federal judicial clerk, about clerkships. Podcast Episode 177: Real Talk About Student Loan Debt (w/ Financial Expert Travis Hornsby) We’re talking with Travis Hornsby, founder and CEO of Student Loan Planner, about everyone’s favorite topic, law school debt. Podcast Episode 178: Resolutions For a New Year (And a New Semester) We’re talking about resolutions we suggest for the new year and new semester. Podcast Episode 179: What To Do If You Still Don't Have a Summer Job We’re talking with ex-BigLaw recruiter Sadie Jones about what to do if you don’t have a summer job yet. Podcast Episode 180: How to Write a Great Seminar Paper or Journal Note We’re talking about setting yourself up to write a great seminar paper or journal note. Podcast Episode 181: Negotiating a Job Offer (w/Ex-BigLaw Recruiter Sadie Jones) We’re excited to be talking with ex-BigLaw recruiter Sadie Jones about negotiating job offers. Podcast Episode 182: Navigating Motherhood in the Legal Profession (w/ Jennifer Warren) We’re talking to Jennifer Warren about the realities of motherhood, and parenthood in general, in the legal profession. Podcast Episode 183: Changing Course in the Job Hunt (w/Ex-BigLaw Recruiter Sadie Jones) We’re talking with ex-BigLaw recruiter, Sadie Jones, about when and how to change direction in your job search. Podcast Episode 184: Handling Law School Finances (w/ Lyssa Thaden of AccessLex) We’re talking with Lyssa Thaden of AccessLex Institute, a non-profit which works to increase accessibility and affordability for law students, about student loans and other financial topics. Podcast Episode 185: Thinking About the 2L Job Search as a 1L (w/Ex-BigLaw Recruiter Sadie Jones) We’re talking with ex-BigLaw recruiter Sadie Jones about how to start thinking about your 2L job search when you’re still a 1L. Podcast Episode 186: Book Club: Becoming, By Michelle Obama We’re kicking off a new series: The Law School Toolbox Book Club. This is a chance for us to chat with you about the books we’re reading and why you might want to check them out. Today we’re talking about Becoming, by Michelle Obama. Podcast Episode 187: Thinking On Your Feet in Class Discussions and Other Public Speaking Opportunities We’re talking about thinking on your feet when you’re on the spot. Podcast Episode 188: How to Make People Hate You at Work (w/Ex-BigLaw Recruiter Sadie Jones) We’re talking with ex-BigLaw recruiter, Sadie Jones, about how to make people hate you at work, so that, basically, you can avoid doing these things. Podcast Episode 189: Making Class Time Productive in Law School We’re talking about what to focus on in class so that you can get the most out of the experience. Podcast Episode 191: Wisdom 2.0 - What We Learned About Relationships We are talking about what we earned about relationships at the Wisdom 2.0 conference we attended in March. Podcast Episode 192: On Exam Scenarios We’re talking about some challenging scenarios you might encounter on law school exams.